There are 239 Visual Assignments. Try a random one? Not impressed? Then add an idea for a new Visual Assignment. So far, 13 people have	completed this assignment and it has 664 views. Tell a story using five photos. Basically, that's it. Figure out the story you want to tell and then take five photos to tell it. If you need to edit, add filters, etc. in order to get the effect you want, go for it. So far, 4 people have	completed this assignment and it has 636 views. Take multiple photos of a friend or of yourself, then compile and average all of the photos in Photoshop to create an unconventional portrait. Have fun with the poses and setting of your pictures! Learn how to average layers in Photoshop with this YouTube video. This assignment was inspired by Averaging Concepts Using Flickr. So far, 19 people have	completed this assignment and it has 605 views. Have you ever seen that picture that *might* be the loch ness monster, but it's probably just a floating log? Well now it's your turn to perpetuate a myth - the myth of superheroes. Go out and take a picture of something that you know isn't a superhero, but could be. Is that Superman, or just a bird? Is that Antman, or do I you need to do abetter job cleaning the kitchen? Who's to say? So far, 27 people have	completed this assignment and it has 601 views. It's simple. Choose your faveourite photo you've taken and tell everyone why you love it so much. So far, 18 people have	completed this assignment and it has 502 views. 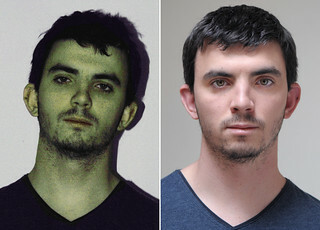 Take a before/after photo of a person, place, or thing that has survived the apocalpyse. Then use Juxtapose to share a comparison of your two photos. Try not to rely too heavily on Photoshop or other photo editors to show the changes. So far, 2 people have	completed this assignment and it has 340 views. Take a series of 6-10 photos that are meant to be "found" photos of someone whose lived through the apocalypse. Think about what photos you might find in the personal affects of someone who lived through such an event and then set out to take them. So far, 0 people have	completed this assignment and it has 166 views. used paper to make a shadow figure. Placed figure on a small box and lite with my phone flashlight. Shot with a Cannon EOS 60D and 18-135 mm lens. So far, 1 person has	completed this assignment and it has 97 views. You know how those anime characters have oversized eyes? Like Alita: Battle Angel? Do you think they'd look just as creepy on other people? Let's find out! Take a photo of someone and use an image editor to give them big bug eyes. "All the better to see you with..."
RAK express your love ! So far, 0 people have	completed this assignment and it has 45 views. create a project displaying something nice you have done for someone. You may bring in homemade items, pictures, and any other item that shows you have done something nice for someone.